The drag racing game will feature WWE-themed vehicles and mystery crates during a month-long event. Glu Mobile announced the release of a major cross-promotion in its mobile drag racing title, Racing Rivals, which sees the world of World Wrestling Entertainment added to the game via themed vehicles. Racing Rivals was released by Cie Games in 2013, before Glu Mobile acquired the developer in 2014. For the next month, Racing Rivals players will have access to new limited-edition cars each week, based on popular WWE talent from the past and present. The lineup includes vehicles featuring Daniel Bryan, Hulk Hogan, Ultimate Warrior, John Cena, Roman Reigns, Triple H, Randy Orton and The Bella Twins. Each day during this event, players can collect a special WWE mystery crate, which contains the pieces necessary to unlock some of these vehicles. For instance, gamers may receive one of the seven blueprint pieces necessary to unlock the 2015 Ford Mustang Race Edition based on The Bella Twins. Players can also purchase these mystery crates instantly with gems, the game’s premium currency. Elsewhere, the game’s store has been updated with limited-edition cars, like the Ford Mustang Shelby GT500, based on John Cena, and the Chevrolet Camaro Z28, featuring Hulk Hogan. Both cars are available to purchase instantly with gems (435 gems and 218 gems, respectively), but if players have completed the game’s London campaign, they’ll also have the option to purchase the Mustang for $107,000 in in-game cash. These cars will only be available until July 5. 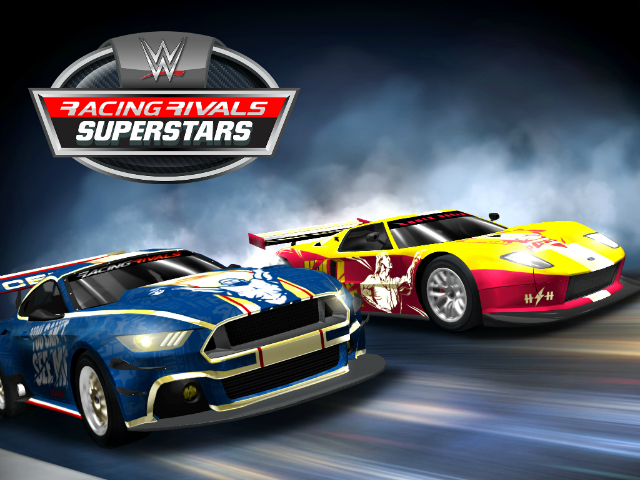 Glu is thrilled to be working with WWE to bring its most popular superstars to Racing Rivals. Through limited-edition cars and other items, players can experience the excitement of the WWE as they race custom cars featuring Daniel Bryan, The Bella Twins, John Cena and more. Racing Rivals is available to download for free on the iTunes App Store and Google Play.